Mayo Mountain Rescue Team (MMRT) is a busy, experienced and dynamic voluntary mountain rescue team which provides a mountain Search and Rescue emergency service (via 999/112) for county Mayo and nationwide, if requested. We operate 24/7, 365 days/yr. 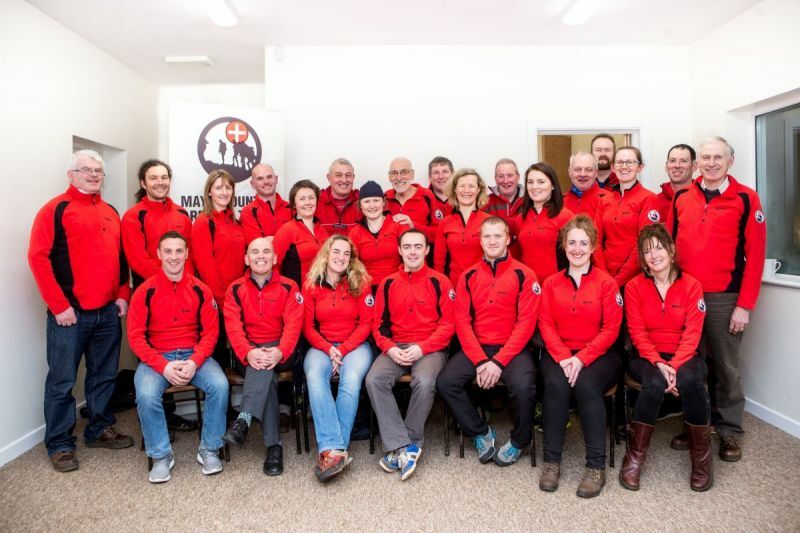 Mayo Mountain Rescue Team (MMRT) is comprised of hillwalkers and mountaineers living all over Mayo who have a common interest in the enjoyment of the outdoors. The team is made up of builders, farmers, medical professionals, electricians, teachers, engineers, outdoor instructors, self-employed and civil servants, in fact men and women from all walks of life. The volunteers currently range in age from 25 to 70 years of age and come from all over Mayo. Some members drive up to 50 miles for the pleasure of setting off on a rescue in the rain. All the volunteers have a love of the mountains in common. This voluntary service is physically, technically and mentally demanding so working as a team is crucial in providing this service in demanding circumstances. The minimum age is 21 years of age to join the team. Recruitment takes place as and when the team require new probationary members to replenish the ranks where some full team members take a sabbatical for a number of months. Thank you to all applicants - the team will be in touch shortly.